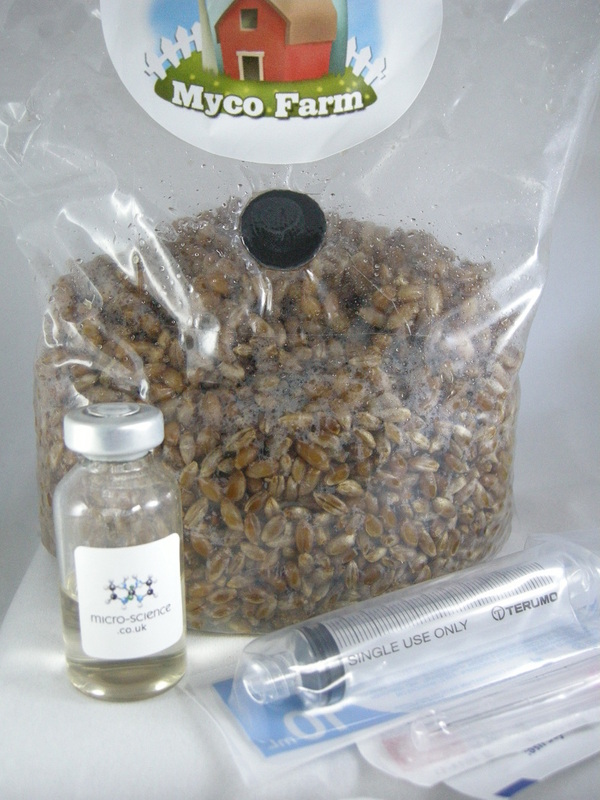 MycoFarm grain bag and liquid culture vial (suitable for truffles, such as Pleurotus tuber-regium). 2.5mL Pleurotus culture syringe included. This kit does not include a casing layer or humidity tent. 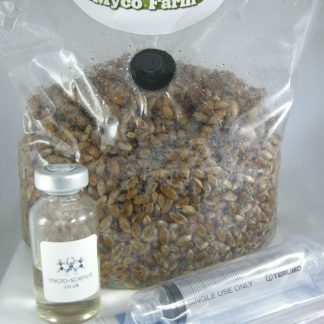 Everything you need to produce fresh sclerotia “truffles” (such as Pleurotus tuber-regium) mushrooms. 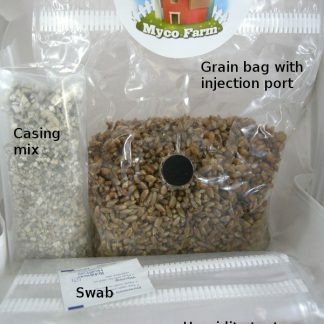 Kit contains: 650g Rye Injector bag, 10 mL liquid culture vial, swabs, withdrawing equipment. 2.5mL Pleurotus spawn syringe. This is a two step process which would suit the more experienced cultivator. Wash and clean hands with alcohol gel and work in a clean environment.